Pay per Click or PPC as it is known is a program offered by most leading search engines, notably Google. This is how it works. You sign up for the pay per click program. You then create a text ad with the use of specific keywords. The ad will be displayed on search engine results whenever a user uses the keywords you have chosen. Such ads are usually listed at the top and differentiated from general search results. The ads may appear on the side too. If a visitor on the search result page chooses to click on your ad then your account will be debited by the charge for each click. It is also known as search engine marketing and you would need to engage in search engine marketing services to create a PPC campaign for your company. SEO is organic and takes some time to generate traffic. PPC can be viewed as a shortcut. PPC campaigns display your ad on search result pages when visitors search for specific products or services that match chosen keywords. PPC targets those who are looking for products or services that you offer and it can result in an immediate lead generation. Engage the right PPC Services India based such as Digicommerce and you get to experience immediate benefits. PPC ads are displayed alongside search engine results on search pages when people search using keywords that you have chosen to use in the ads. This means your ad is viewed by people who are actually looking for products or services you offer and there are high chances of their clicking the ad and visiting your website to eventually become customers. PPC ads offer high visibility within hours of a PPC campaign being launched. PPC also has analytics features that give you information and statistics that you can use to track website performance and conversions. PPC campaign is not something you just deploy and forget. When implemented by PPC specialists like Digicommerce, PPC campaign includes total management and analysis of the performance of ads on an ongoing basis. This analytics form the basis for further fine-tuning campaigns with the object of reducing wasteful clickthroughs and maximizing ROIs. Analytics help derives insights on the performance of ads, the performance of website and conversion rates as well as the performance of keywords. PPC management drives targeted traffic that you can convert with ease. PPC is broader in definition since it has spread beyond the simple text ads. PPC success relies on a variety of factors such as the use of the right set of keywords, time to display the ads and the geographic location as well. PPC also includes display ads through Google’s display network, a program in which Google displays ads on a number of websites in order to target specific audiences. This program works in a way that is similar to its AdSense program. PPC also includes remarketing, a process in which website visitors have a cookie placed on their system by the website. The cookie tracks the user’s web behaviors and targets specific ads when they visit other websites. 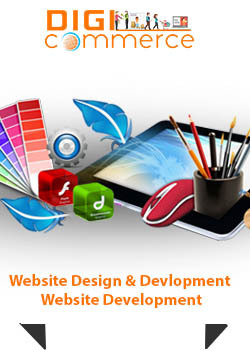 Digicommerce is one of the best PPC Company, NOIDA based. Its team of PPC experts is fully conversant with latest techniques and finely crafted strategies that will give the best ROIs. We craft a tailored PPC strategy for each client, spread it across mobile and desktops and keep a hawk’s eye on movements through carefully implemented analytics that gives us instant data on key performance metrics that help us to further fine-tune implementation on an ongoing basis. PPC can be a total waste of money or it can be a money spinner. It depends on which PPC company handles the PPC campaign. Digicommerce is the best PPC company India based with a team of Google trained and certified experts. As the leading PPC agency NOIDA Delhi based, we offer the best affordable services that have roots in keyword research and branch off into fine-tuning of text, analysis of target customers and geographic locations as well as other key parameters that make the difference between success and failure. Digicommerce knows just how expensive PPC can be if results are not generated immediately. We begin by the research of keywords, analysis of markets and competition and then design a strategy for implementation in which conversion rates are optimized. Our PPC experts carefully choose the page on which ads should appear, the timing and the geographic locations to address. Each step is monitored and tracked with data helping us to fine-tune our PPC processes as we go along for maximum lead generation. Our 360 degree, affordable and cheap PPC services go beyond normal PPC text ads to factoring in Google Display Network ads and Remarketing. We can say with full confidence that when we implement PPC your website visibility improves, you get immediate traffic from visitors that can be converted with ease and even your search engine rankings are positively influenced. We get you results. PPC implementation is not haphazard. It is carefully thought out, meticulously drawn up and implemented strategically by us to achieve the objective of clients and to ensure their money is spent wisely. Further, we assign a dedicated account manager for each client. He leads a team that handles the campaign with close monitoring and analytics at all times. Digicommerce guarantees result in its PPC campaigns.